Ken Bone just broke America's heart. "Everyone wants to know if I've decided ... and I have," Bone tweeted on Thursday. "uberSELECT helps you ride in style like me." What is uberSELECT? Who cares about that, or anything anymore. OK fine, it's apparently a new "luxury option" that lets customers in St. Louis be picked up in fancier cars. 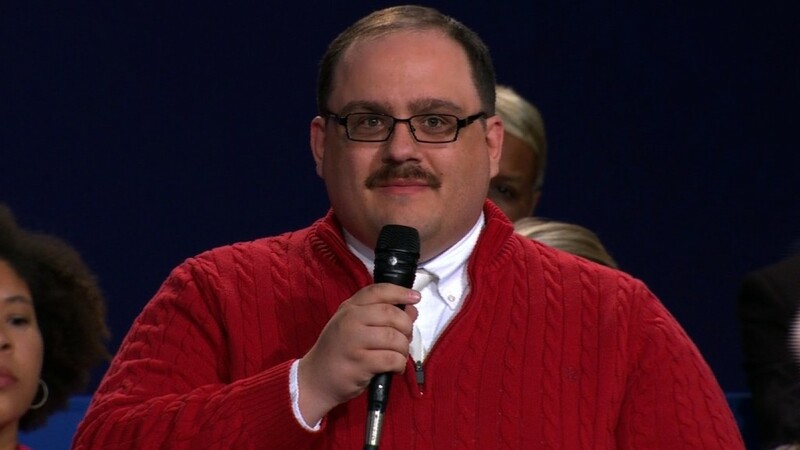 Customers like American debate hero Ken Bone. "All of this was more than enough to win over the formerly undecided Ken Bone, who this morning took the first-ever uberSELECT ride in St. Louis!" Zack Slezak, marketing manager for Uber Midwest, wrote in a blog post. "I'm not a millionaire and they're not hurling money at me," Bone told the St. Louis Post Dispatch. In fact, Bone is being compensated with free rides rather than cash. "We are providing him with with Uber credit for his role in the launch," said Molly Spaeth, a spokeswoman for Uber. Bone did the rounds with press outlets and went from having seven Twitter followers, "two of which were my grandmother," to having tens of thousands of followers in barely 24 hours. At first, Bone used his newly acquired fame for good -- urging people to "get out and vote." But less than a week later, Bone has turned into a brand's pitchman.